Join the discussion on our forums! 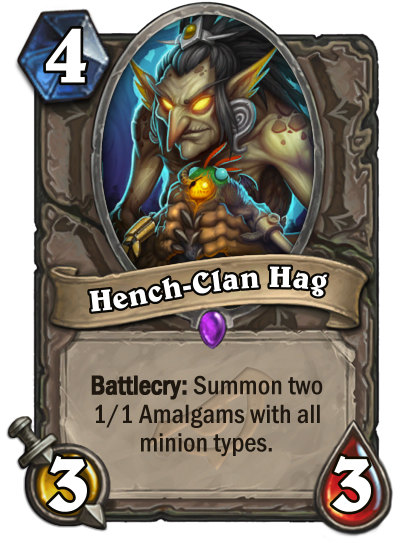 Come discuss Hench-Clan Hag over in our dedicated Hench-Clan Hag discussion topic. One of the best cards in the set. 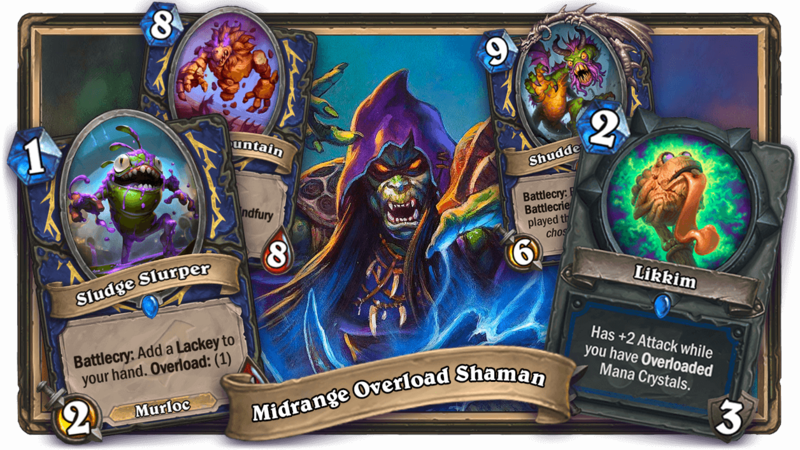 5/5 stats on 3 bodies for 4-mana is great! The tokens are murlocs (Murloc Warleader), pirates (Southsea Captain), deamons (Impferno), mechs (Magnetic for Charge) and beasts (Beast-synergy). This card is strong even without all types. I can't wait to see the tokens. Judging by that tiny Nightmare Amalgam she's holding, they're going to be adorable.